looking forward to playing for merlin333. im checking, but i have registered. when is the next ofc tourny? 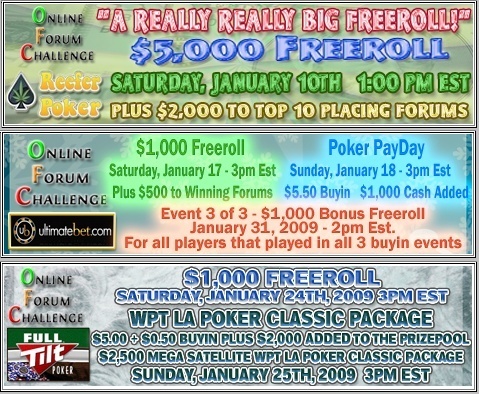 Jon Holt : I am new to poker-about 18 months. I have a lot to learn and hope you folks here can help. maybe my mistakes will help you from making the same.